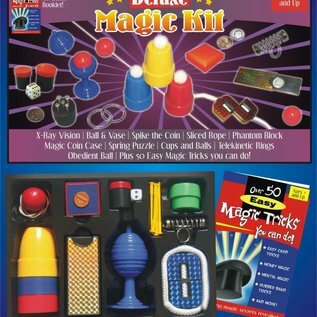 Magic Kit ages 7+ Cups & Balls, Ball Vase, Magic Penny to Dime/Shrinking Penny, Sliced Rope, X-Ray Vision, Coin Case, Spike Coin, Instructions, Bonus 50 tricks booklet and more. 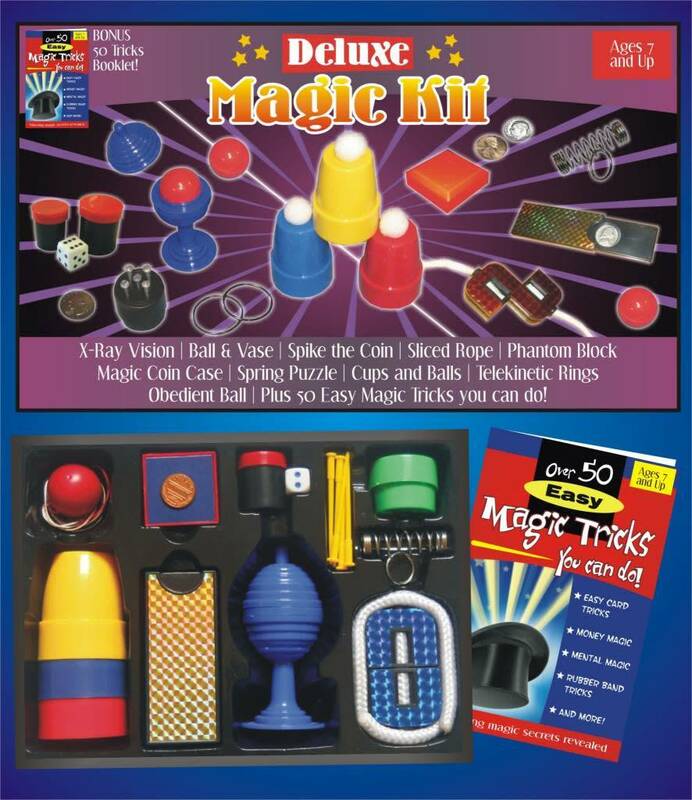 The Deluxe Magic Kit includes some of the most popular tricks for ages 7 and up. Cups and Balls, Ball Vase, Magic Penny to Dime and Shrinking Penny, Sliced Rope, X-Ray Vision, Coin Case, Spike the Coin and more. Includes instruction booklet and bonus 50 tricks booklet. The products are organized in a plastic tray inside the full color box.